Fall has never looked hotter! I spent my weekend in the Garden City, Long Island area for several reasons, one of those reasons, to check out the Simon LOOKBOOK Live Fall 2015 event at Roosevelt Field. 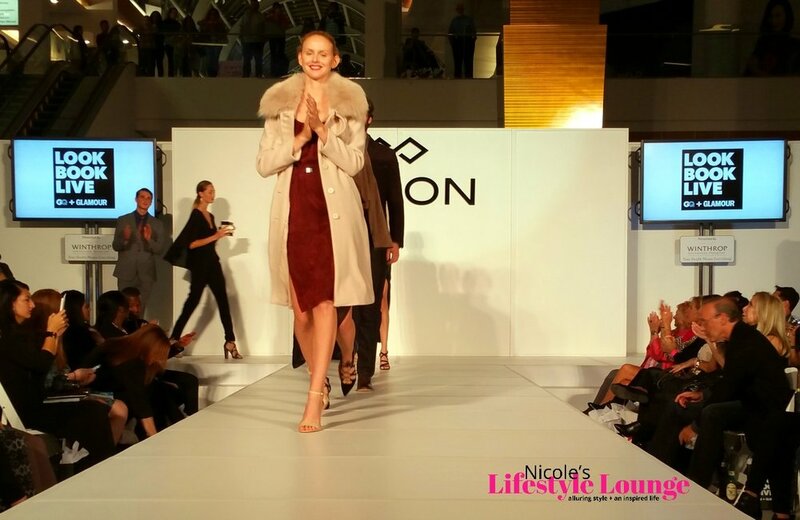 There is so much noise about what’s now trending in fall fashion, so Lookbook Live brought the looks to life in an interactive trend showcase from style pros at GQ, Glamour and Simon, the name behind the nation’s leading shopping destinations. Lauren Cosenza style ambassador for Glamour magazine, and Paris Pullen style expert for GQ magazine took time out while doling out style tips and putting together ensembles for shoppers based on their budget, lifestyles, and individual preferences to chat with me a bit. But in case you missed it live on Periscope, we’re going to give you the recap below. The four main fashion trends featured were Workwear, Knits+Textures, Sportscore and Outerwear; and here’s how to wear them! Work Wear: The key to this look is to master the art of presentation by putting together tailored items and layering strong shapes. These work appropriate looks doubles without missing a beat for that after-hour fun spot. Knits and Textures: Have fun with cozy cold weather staples by mixing different textures and knits in monochromatic hues. Don’t believe the myth, mixing and matching patterns can be so stylish and fun, as long as they are in the same color scheme. Sports Core: Serve up some athletic inspo that can take you beyond the playing field and is chic enough to run errands in, wear to brunch, or even wear on a date. Just remember it’s all about balance… create proportion by pairing thicker and thinner knits. Outerwear: When it comes to outerwear, you’ll want to weather the season in rugged, patriotic, military-like outerwears. This season’s outerwear style inspiration will take you from work through the weekend - think big pockets, structured military look, capes and ponchos. The style code for this fall is chic staples that will take you anywhere. No matter the look you’re coveting this season, you can find them all at a Simon mall near you.